Colors: Transparent to translucent smoky gold to amber. Notes: A variety of Quartz. May be natural or created by heat-treating Amethyst to change its color from purple to yellow. Citrine is a yellow to brown form of quartz, with most pieces a golden yellow that’s reminiscent of topaz. It forms naturally when trace amounts of iron are trapped in quartz, as it crystallizes. This is the same process that forms amethyst; the only difference is that citrine forms under higher temperature. In fact, most citrine available commercially is made by heating amethyst, as naturally occurring citrine is rare. Citrine is the “Merchant’s Stone,” because it is associated with success and prosperity. Older references are rare because it’s been confused with topaz until relatively recent times, but this use has been consistent. Citrine has been associated with the solar plexus chakra. It aids healing throughout the digestive system, and aids metabolism in general. 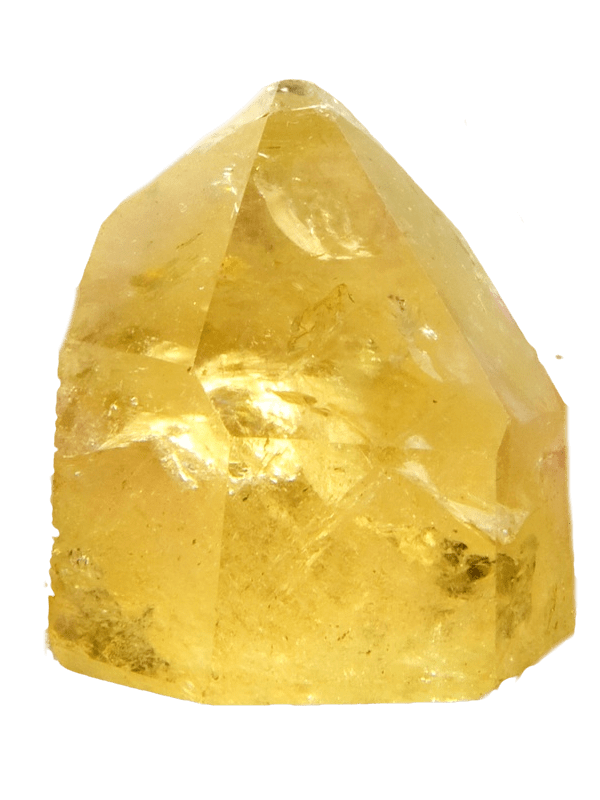 For example, even though the thyroid gland is typically associated with the throat chakra because of its position, healers may use citrine to enhance its function. Did you enjoy this post? You’ll also love our Citrine Money Manifesting Kit. Sign up below to get yourself a FREE copy! The healing properties of citrine are powerful and abundant. Citrine will allow you to fully embrace your courage, confidence, success, and self-worth. Dear Ashley, It still amazes Me how the Universe brings to Me exactly what I require when I require it. Today it was your email with the podcast on Citrine. I so so needed this & hopefully it will help 1 of My Dear Friends too. Bless You & the Crystals too. I am very grateful. Hi Ashley, thank you for sharing your knowledge with us. I heard you say that you put your citrine in a red pouch? My understanding (read and heard it on many other occasions) that if you want to stop a crystal vibrate you cover it with red? Thank you for all of the information about Citrine. There was a lot I didn’t know about. Thanks again. I need to get my citrine out now. Thanks so much for reading, Vicki! Citrine is such a wonderful stone <3 Crystal blessings!